A couple years ago when chia seed pudding became a thing, I tried a few recipes to see if I could like it enough to add it into the rotation of healthy treats in my life. 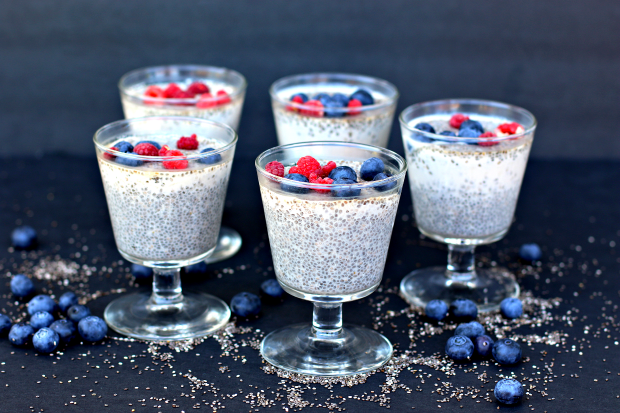 Chia seeds are full of antioxidants, fiber, calcium, and loads of protein, and when chia seed pudding is topped with berries or granola, makes for the perfect breakfast. 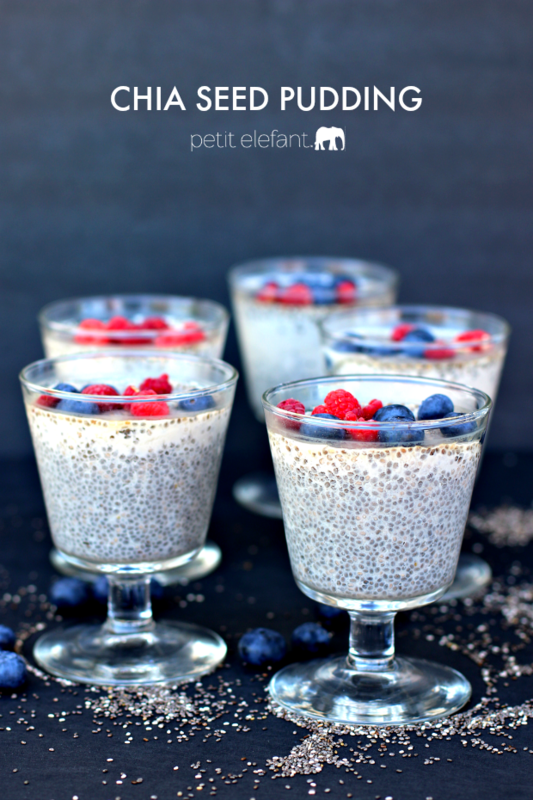 So I tried chia seed pudding, I liked it, and now make it on a regular basis. The pudding is so good for you, and is such a filling breakfast or afternoon snack. I would definitely add honey, vanilla, or cinnamon because the pudding on its own isn’t very sweet, but it’s totally addicted. Check out the recipe + instructions below! 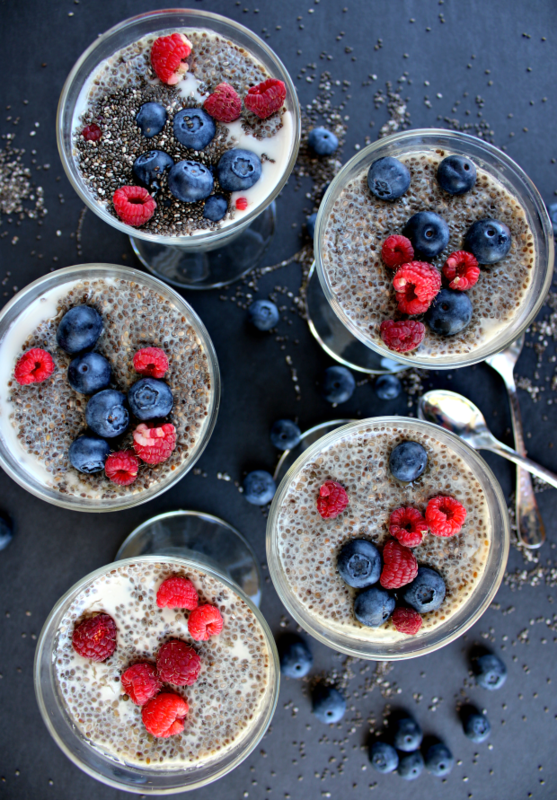 Make your own chia seed pudding recipe for a great breakfast or mid-day snack. It's super rich in protein and vitamins and so good for you! In a bowl, mix together milk and chia seeds until combined. Add honey to chia seeds and milk and stir until completely mixed. Pour pudding into small glasses and put in the fridge to sit overnight. The chia seeds will turn the milk into pudding after several hours. Eat plain or with berries or granola. Doesn’t it look so good? I always top the pudding with something tasty to add some flavor, like berries or my homemade granola, or some cinnamon. It’s such a tasty snack and you can eat it without feeling guilty! 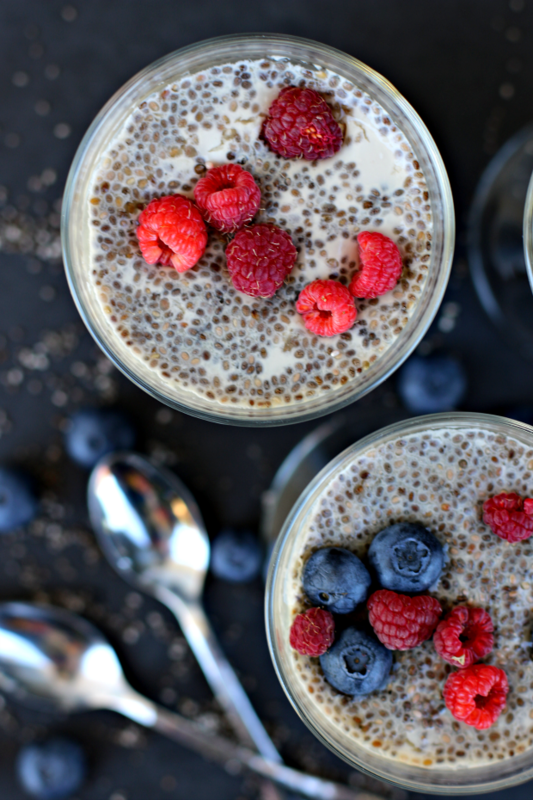 I hope you make some of this chia seed pudding soon. Enjoy!